It rained all day here yesterday which is good as I decided to bake all day. I had chosen to make dmsnyder's San Joaquin adaptation and have another go at the 1,2,3 formula which has only been successful for me once. I am sorry that I didn't stick to the recipes and got my timing all out of whack! With the 1,2,3 recipe I added about 15% rye and maybe 20% wholemeal instead of all white. I didn't get the rise out of it that I was hoping for, but was saved by some oven spring. The San Joaquin loaves came out a little crusty, but okay and amazingly light which I thought was a good sign. I could barely contain myself to wait until the loaves were cool to slice open and see what was inside. The 1,2,3 crumb was very ordinary looking, although I am more looking forward to the taste than anything. The San Joaquin was very open and we tasted straight away. I'm no bread connoisseur, but it was very yummy (in layman's terms, lol). I finally got my Bread Baker's Apprentice in the mail and was highly amused by Peter Reinhart's description of what should happen when tasting bread. It's kind of like When Harry Met Sally! Anyway, here's my bake. Dissolved yeast in the warm water. Mix hot water with cold buttermilk, honey together. The temp. should be slightly warm. Put all the flour in a large bowl, add the salt, mix well. Make well in the center . Pour the buttermilk mixture and the yeast in the hole. Mix well. Test the flour to see if it need more flour or water add more water of flour as needed. ( I added 2 tbsp. of water since the dough seemed to be dry) The recipe said tht it need to be knead 20 min. then put in the bowl for first rise 1 1/2 hour. At this point I did the following, I let the dough rest 20 min. (autolyse), I did a stretch and fold 6 times at 10 min. interval, then first rise 1 hour. I press the dough flat and let the dough rise on its 2nd rise 45min. 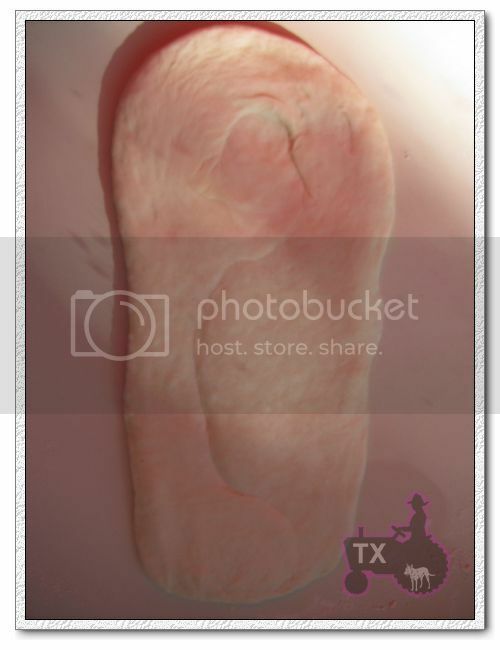 (per recipe) use the finger poke test then shape put in bread pan, poke test again and bake it at 325 F. as recipe stated. The recipe said that the dough will be soft and will rise extreamly high but mine was hard and hardly rise at all. the bread great but the apearence was extreamly poor. The Laurel's kitchen bread book is awsome and I want to try making more whole grain bread. My first try was a flop as though I am a novice bread baker. What happen? Help is need badly. I need to make this bread for sell but I will not be able to sell any if it looks like a midget!!! I did test my active dry yeast and it is active. My hot water was 102 F and the warm water was 98 F. I make sure that the salt doesn't touch the yeast. So what went wrong? i think that Lendy D made whole wheat bread from this book before and gave high praise for it. So what went wrong? No pictures, I am just recording this recipe here for my own use, really, but feel free to try it out! This is my first effort at recreating a bread my father made a lot when I was young. It's not wildly far off, but needs some work. Make a poolish: 1 cup warm water, a pinch of yeast, 1 cup bread flour. Mix, let stand out (covered) overnight. The poolish should be active, inflated, and bubbly. If not, wait until it is. Scald 3/4 cup milk, set aside to cool. Crack two eggs, reserve 1 tablespoon of the white of of one them. Beat eggs thoroughly. Add 1T sugar and 1.5 tsp ground cardamom (to taste -- 1.5 tsp is a nice starting point) to the now-warm scalded milk. Proof 1/2 tsp instant yeast (or 1 tsp dry yeast) in 2T warm water. Add all of the above to the poolish, and mix. Work in sufficient bread flour (about 4 cups) to make a slightly sticky dough, one that can be kneaded on a board without sticking, IF you dust with flour constantly. Knead until smooth, and until it windowpanes pretty well. Let rise until doubled, or thereabouts. Degas a bit ("punch down" or "stretch and fold") and let rise again. I did not get too aggressive with degassing, and I wasn't really letting it fully rise (impatience, and I wanted two risings before shaping). 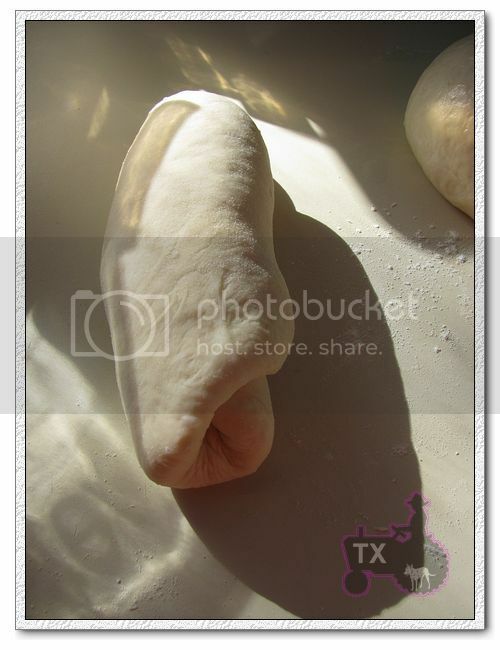 I handled the dough fairly gently between kneading and shaping. Divide into 3 equal parts and braid. I formed three baguettes, basically, and braided them. Instructions for braiding are in any challah recipe. Let rise until doubled, or until poke-test. Pre-heat oven to 425. Mix your reserved 1T egg white with 1T water, mix thoroughly. Glaze the loaf with this mixture, place in oven, REDUCE HEAT TO 400 degrees. I let it rise on parchment paper on a peel, and slid it off onto my pizza stone. Sprinkling with poppy or sesame seeds after glazing and before baking would be nice, but I hadn't any this time so I didn't. After 20 minutes, turn the loaf and re-glaze. Bake another 25 minutes. The result is a fairly robust rich-tasting bread, with a mild cardamom flavor. Toasting it or making french toast brings out more of the cardamom. The crumb has nicely "artisanal" uneven holes throughout. The bread's probably not auitable for sandwiches or really any truly savory use. 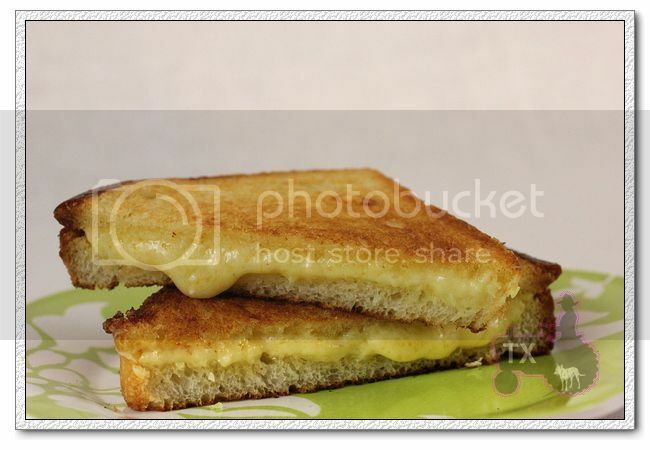 It makes wonderful toast and french toast, and is great with just butter as well. Work the dough a little less, and possibly add some oil. The crumb is rich and fairly tender, but isn't fragile at all in the way one expects from a brioche. I think a tablespoon of oil or butter might help, here. The I love Lucy Show with me!!!! Well I decided to do something good for our health. Something I did 25 years ago and before when my young family was growing. I used to grind my own wheat and make my own bread from whole wheat grain. Everything we ate was fresh and full of nutrition and fiber. Then I married the Italian (half Irish too) and he wanted white bread or Irish soda bread etc. Not gonna touch the brown stuff. So I sold all my equipment to buy a stove! Big mistake. But seemed the thing to do at the time. Make the hubby happy! I wanted a new stove too! So now 25 years later I made a new investment in our health and bought a new model Bosch Universal Plus mixer with 800 watts of power and the ability to knead 4 loaves of bread in 10 minutes. Then I was on the search for the recipe from 30 years ago! Happy I found the website The Fresh Loaf and Old Wooden Spoon gave me the recipe I used back then ( that gave away our age right away!) My first day in the kitchen was like the I Love Lucy show. Now I don't like to be on camera but this would have won me enough money to pay for my equipment for sure! Did I say it was an investment, not just a purchase. Here is what I purchased after much research and past experience. Now the first day was quite interesting, all seemed easy enough so I skimmed the directions on the equipment. I set up the Nutrimill to grind my wheat. Obviously I didn't have it quite locked in right as flour started shooting out the side, but one quick stop and we got that under control. Not too much mess to clean up. Then on to proofing the yeast. A little honey, warm water and yeast. It starts to bubble so I know it's working. Yay! Next is to start filling the mixer with water, flour, salt and honey, then I turn to find the yeast. It is starting to bubble forth like champagne out of the cup ! So I add that and proceed to add more flour until the dough pulls away from the side of the bowl. (that's how you tell it's ready) Now my first mixer had 2 speeds, this has 4. I think I must have put it on speed 3. Somewhere someone said I should remove the outer rim of the bowl at this stage. Now I never did that with the old one. But I figured why not, so removed it. Then turned my back on the machine and went to the sink. I turned around and dough was breaking off and flying around my kitchen, I kid you not! Splat in the dining room, splat on the counter, splat on the kitchen floor. I put that rim on as fast as I could blink an eye. All went well after that and we got some beautiful tasty bread. 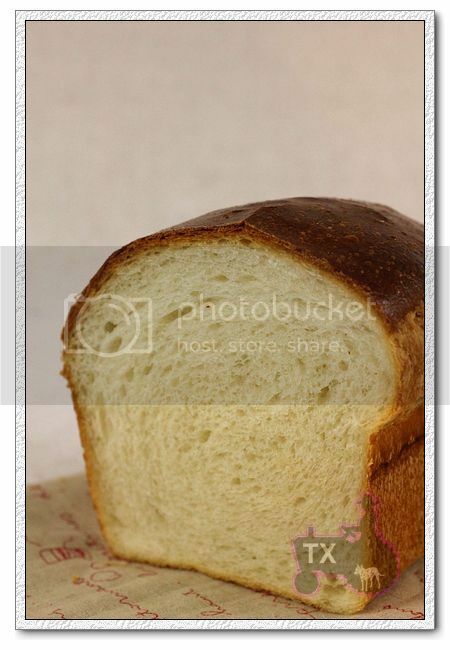 Next baking day went smoothly with great results, (cinnamon bread) everyone wants to buy it. Not happening, that executive decision was made the first day. I'm not 25 anymore! I used to make 15 loaves a day, babysit and deliver the bread. $1.50 a loaf in the 80's. Now today was my 3rd day baking. I had to grind 20 lbs of wheat into flour that I sold for $4.00 for each 5 lbs. That took a while. Then I had some left over and decided to start a second batch of four loaves of bread. Needed to grind more flour. Rule # 2 , don't overfill the hopper or turn your back on it. I'm always trying to multi-task. I turned around and the stove side of my kitchen looked like the first snow of winter! I'm having to learn lots of patience with this new process, but the rewards are warm soft whole wheat loaves of bread. Guess what the Italian is eating willingly now? At lunch he waited for me to slice bread to make his sandwich. The little white rolls nearby were crying! The pictures tell the rest! I hear there really is an episode of I love Lucy baking bread! Gotta get that one from Netflix. 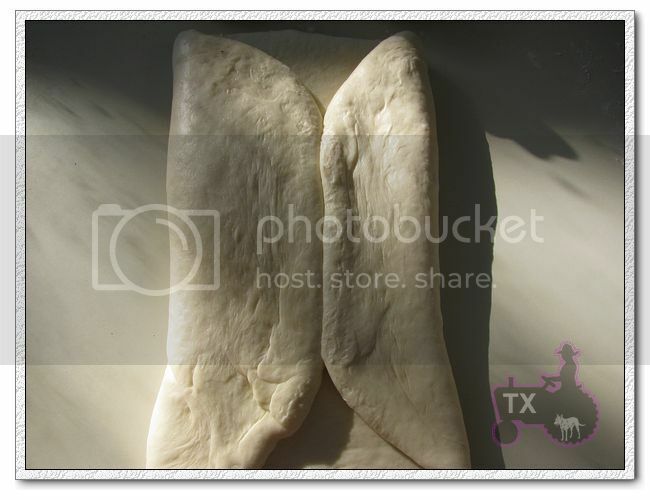 Linda McErlean http://picasaweb.google.com/curvesarein/BreadBaking?authkey=Gv1sRgCMK-v5atusP07gE&feat=directlink "Until one has loved an animal, part of their soul remains un-awakened." Read more about The I love Lucy Show with me!!!! baking stones in miami area? Read more about baking stones in miami area? Last week we bought a bag full of assorted apples from a farmer. Not only the bag was huge, the size of some of the apples (Macoun) was gigantic, too. What to do with all these beautiful apples? A dreary day makes you think of comfort food, and there's that old saying: "Life is uncertain - eat the dessert first". I'm never one to resist the craving for dessert, anyway, and the oven was still warm from baking bread in the morning. Among my cookbooks is one exclusively on apple cakes (Dr. Oetker: "Apfelkuchen"). I made already a few of them, but wanted to try something new. Many of the cakes are baked on a sheet pan, the kind Americans call "bars" and Germans "Schnitten". I wanted it to be simple, with a lot of apples, some nuts and, preferably, some liquor in it. My cake has more apples than the original one, and, also, different kinds for a more complex taste. The original recipe calls for Amaretto, but I didn't have any and my husband doesn't care too much for it, either. Also, I liked the idea of an additional apple flavor, so I took the Apfelkorn I had in my cupboard (I'm sure Calvados would have been a great choice, too). I used brown sugar instead of white, and, also, reduced the overall amount of sugar - it's still sweet enough. It turned out really nice, with a fresh, strong apple taste - and just a hint of booze. Preheat oven to 400 F/200 C. Butter a 1/4-sheet pan. In mixer bowl, sieve together flour and baking powder. Add butter, egg, sugar, vanilla extract, salt and almond meal. Knead at low speed until all comes together, then switch to medium speed (KA 6) and continue kneading until smooth. 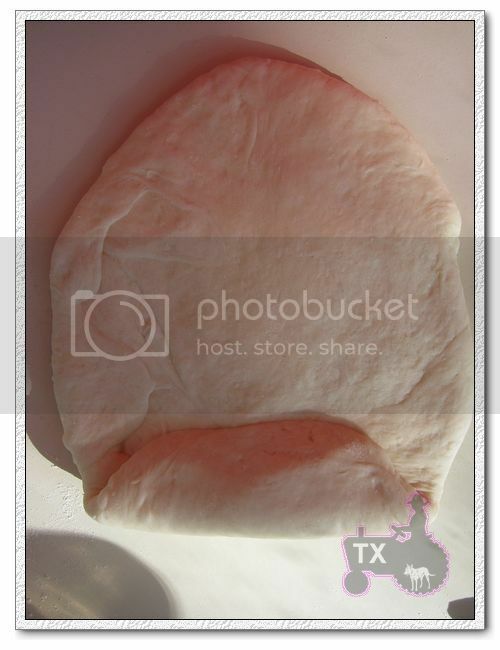 Wrap dough in foil and refrigerate for 30 min. Roll out dough to size of sheet pan. 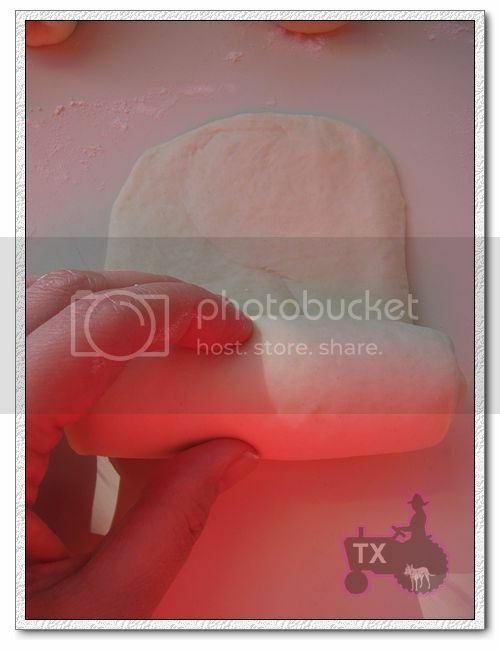 Transfer to pan and press dough up around sides to shape a small rim. Prick with fork several times. Bake 12 - 15 min. Reduce oven heat to 350 F/180 C.
Peel (only green ones) and slice apples Toss with lemon juice. Set aside. (Red apple skin looks nice when baked, the green turns brownish). In mixer bowl, beat butter until creamy. Add sugar, vanilla extract, egg, lemon zest, Apfelkorn (or Calvados) and flour, mixing well after each addition. Whisk whipping cream until stiff. Fold into filling, and spread evenly over pre-baked crust. Top with apples and sprinkle with almonds. Place in lower third of oven. Bake ca. 35 min. (if top browns too much, cover with aluminum foil). Help! Somebody stop me from churning out more bread than even my freezer can handle... or... wait a minute.. I NEED A BIGGER FREEZER!!!! I had my first try at croissants. We won't talk about that. Not at all. The second attempt though was much more satisfactory. I made them too small, in retrospect, and by doing so I think I restricted the layers from really fully developing, but everything was there; the crunch, the slightly chewy core, a nice taste and flavor; subtle buttersweet. I'll put on some pics of the crumb later, and for now; here's how I did it. Read more about my croissants, level up? After posting about some soft Asian style breads, I have gotten more than a few private messages regarding how to make very soft sandwich loaves. I was a little suprised since my impression was that most TFL-ers here prefer a good crusty lean hearth loaf, and soft "wonder breads" are being looked down to. 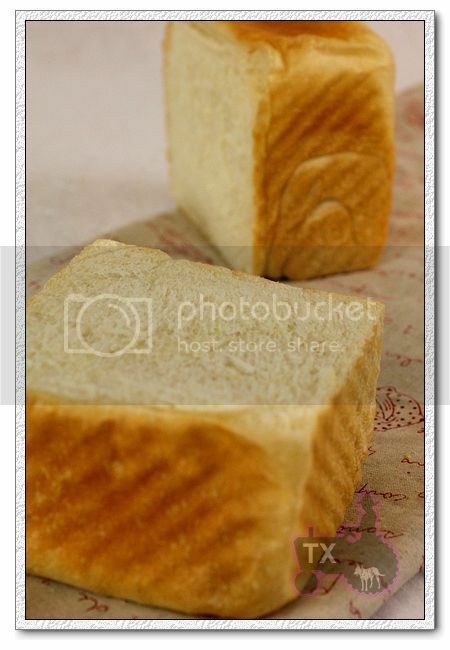 I guess there IS always a need for soft breads: elders and kids who don't have strong teeth, spreaded with a little jam for delicate tea sandwiches , or just because you like the taste and texture. Soft breads are not equal to tasteless wonder breads either, they can be flavorful, "bouncy", and full of body. 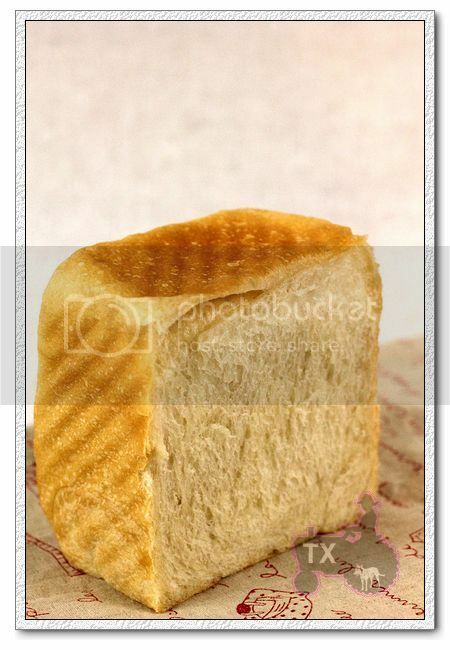 Pan de Mie is a slightly enriched bread, just like most soft sandwich breads. That little bit of sugar, butter (you can replace with oil), and milk powder (you can replace with milk, and take out water accordingly of course), only 5% each, are enough to make the crumb very soft. For even softer results, you can increase these ratios to 10% or even 15%, or/and add other enriching ingredients such as cream, cream cheese, buttermilk, cottage cheese, etc. However, adding too much, you are getting into broche territory though. This verion is raised purely with sourdough stater, but you can get good results using commercial yeast as long as the ingredient ratio is reasonable, and you do a good job at kneading/fermentation/shaping. However, since pan de mie has a very subtle taste, that bit of sourdough tang really enhance the flavor, I would highly recommend using it. 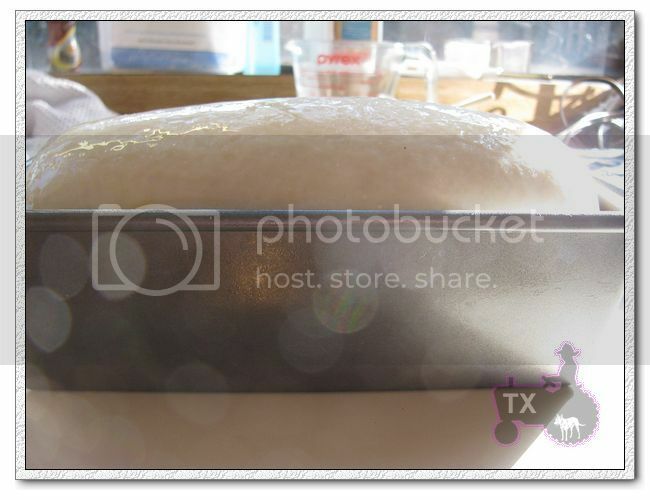 Note: total flour is 280g, fit a 8X4 loaf pan. For my Chinese small-ish pullman pan, I used 260g total flour. 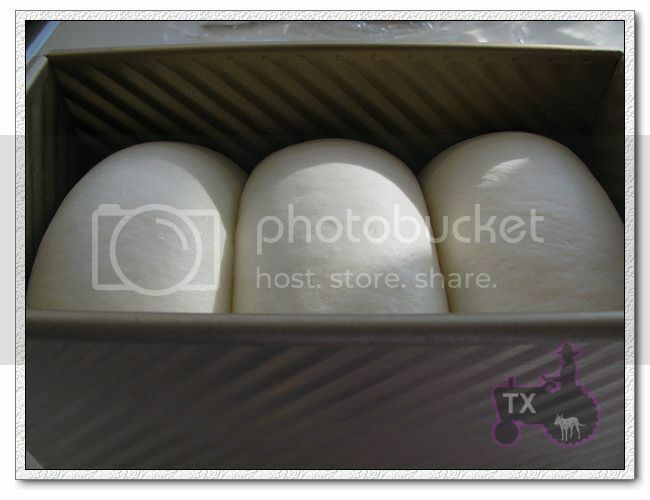 For KAF 13X4X4 pullman pan, I would suggest using about 450g of total flour. 2. Mix together levain, flour, milk powdr, sugar, and water, autolyse for 30min. Add salt, mix until gluten is developed, add softened butter, and knead until the gluten is very developed. This intensive kneading s the key to a soft crumb, and proper volume. We've all heard of windowpane test, but what's important is how STRONG the said "windowpane" is, which is a measurement of how strong the dough is, and how uniformed the gluten structure is. The following the a picture of my windowpane test on this dough, notice that it's thin, but so strong that it doesn't tear even when I wear it as a glove and my finger is poking at it. When I finally poke through, the edge of the hole needs to be very smooth. Yes, it can be done by hand. I have regularly kneaded dough to this stage by hand, it just requires a bit of patience and practice. Of course it's easier with a mixer. In my KA pro6, this dough took 13 to 15 min of mixing at speed 3 or 4 (I know, I know, it violates the KA mixer manual. If you are worried, don't do it, just mix at speed 2, it will take (quite a bit) longer. I have been using this "illegal" method for 2 years now, the mixer has not complained. 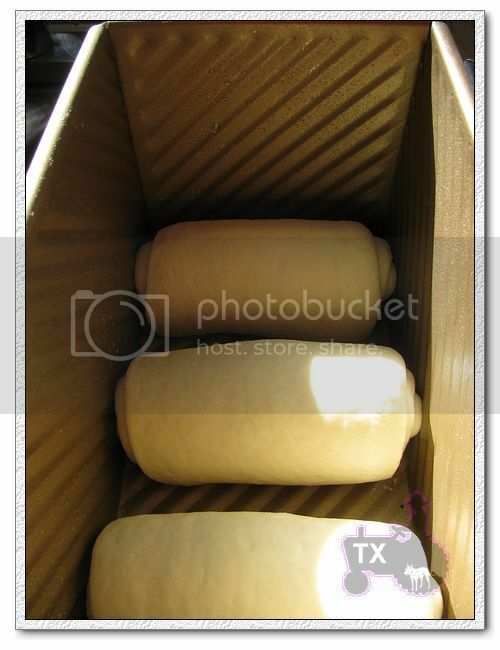 ), doughs with more fat would take longer, different dough size would also affect the time. Do note that it's very possible to over-knead, especially with a mixer, even a couple more minutes after the stage above, the dough would deterioate quickly, it takes a few trial and error to get it perfect. I would suggest to touch and feel the dough every few minutes even you do use a mixer, so you get a good sense of how the dough changes. This intensive kneading technique is quite useful, not just for soft sandwiches, but also for brioche, or other enriched breads. However, for lean hearth loaves, I don't knead at all, I stretch and fold, to get the open crumb. 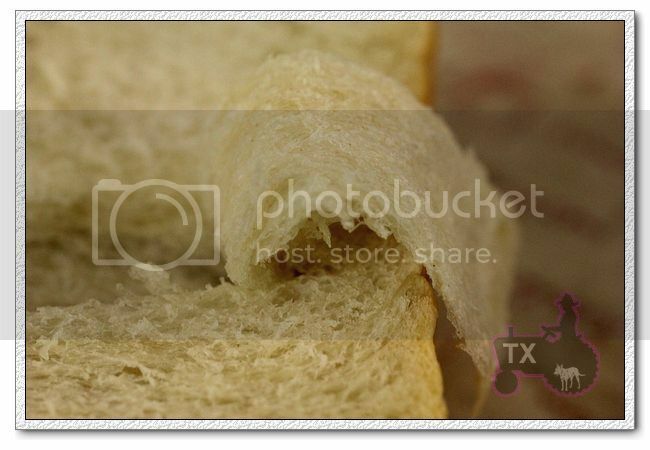 I think different breads demands different techinques. 3. Bulk rise at room temp (73F) for 2 hours, the dough would have expanded noticably, but not too much. Fold, and put in fridge overnight. I find the crumb would be more even and soft if dough gets a full bulk rise - that is true even when I use dry yeast with this dough. 4. Divid, rest for one hour, then Shape into sandwich loaves, the goal here is to get rid of all air bubles in the dough, and shape them very tightly and uniformly, this way the crumb of final breads would be even and velvety, with no unsightly holes. 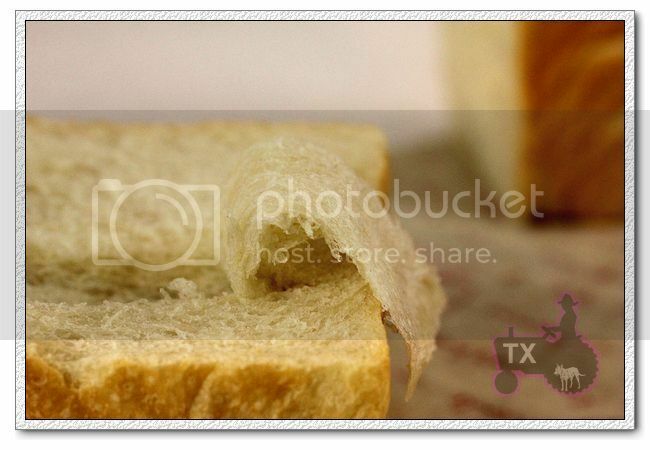 For the 8X4loaf pan, I first roll out the dough into pretty thin, getting rid of bubbles in the mean time. 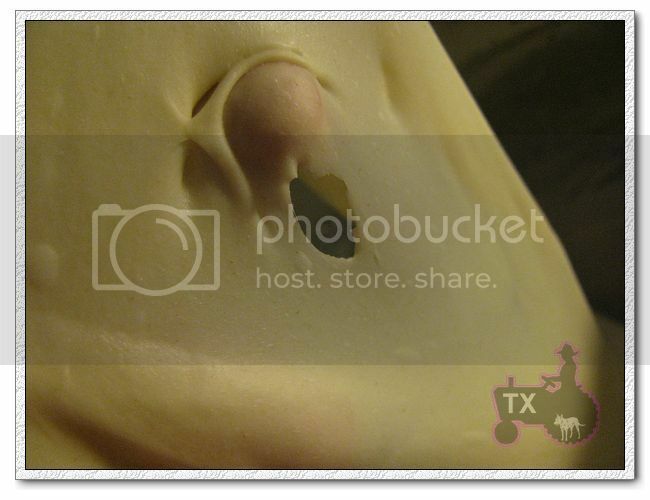 Fold two sides to middle (see picture below), then roll up like a jelly roll, and put in the pan seam side down. However, I much prefer the pullman pan method. First divide the dough into 3 or 4 pieces depending on pan size, roll each piece into oval, and roll up. After resting for 10min, roll out each piece into long oval again(along the seam), and roll up again, tighter than the first time. Put the pieces seam side down in the pan. By rolling twice, the crumb will be more even and "pore-less". 6. Bake at 375 for 45min. Immediately take the bread out of pans, and cool. Of course, the "pore-less" crumb is more about aesthetic, with either shaping method, the bread would be shreddably soft. This bread was meant to be brought to the picnic with my girlfriends and their kids. It was raining for the whole weekend and we had to cancel it. So, the bread ended up being my breakfast and weekend snacks...a happy weekend for me. I used Jeffrey Hamelman's berne brot recipe from Bread cookbook. I made it once before and loved it. 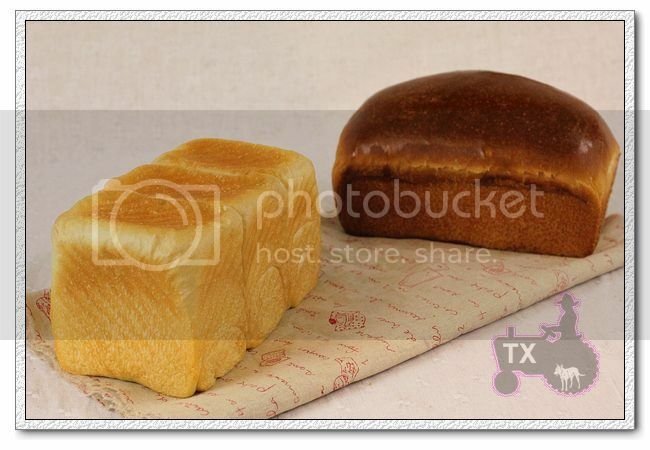 It is a buttery rich bread, without being too sweet. I figured it probably complement well with the chocolate filling...and it did. I never really like chocolate bread before. Now, I'm a convert, a chocolate bread lover. Because the recipe is for the braided bread, it also worked well as a twisted bread. The crumb is soft and tender with the chocolate filling twisted throughout. I thought this might be of interest to fellow limeys, both here in the States and back home. My English neighbor gave me a well used booklet "Home recipes with Be-Ro Self Raising Flour" and "Home Recipes with Be-Ro Plain Flour". This had belonged to her mother, and unfortunately there is no date anywhere but Mary is 80 years old so it has to be pretty old. The recipes are given in grams and ounces and there are lots of pictures and useful hints and tips. I was especially interested to read that the company was offering three additional "specialist" flours - Be-Ro Strong White Bread Flour, Be-Ro Brown Wheatmeal Bread Flour and 100% Be-Ro Wholewheat Bread Flour. Their range even included dried yeast, each sachet being the right quantity for use with a 1 1/2kg bag of bread flour. Sorry to say I don't remember what brand of flour my mother used. Does this ring a bell with anyone? This little treasure measures 3 3/4"x 7 3/4" and just reading the index brings back happy memories of some good old English treats. A.